Nth Ascension hails from the UK and returns with their second album, In Fine Initium (literally, In the beginning of the end), on the US label Melodic Revolution Records. The album came to me by way of keyboard player Darrel Treece-Birch who recently released a solo album in August of this year. Rather than bore you with a repetitive dictation of the band's history, I refer you to their website. As for the album before us, it has two conceptual themes. One has to do with some pseudo-spirituality with humanity seeking unity, truth, beauty and so, as opposed to division and bloodshed. The second is the continuation of the Clanann fantasy story started on the first album, Ascension Of Kings. The details of which are a bit hazy. 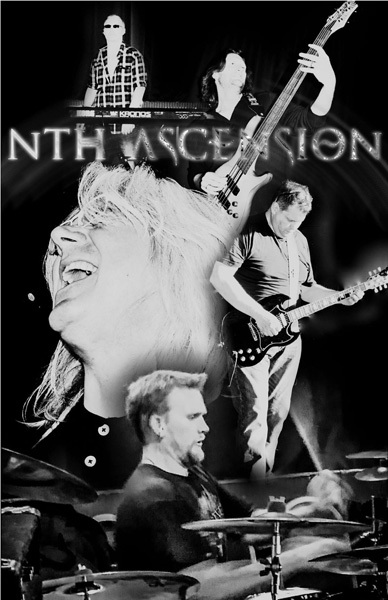 As for the music within and the Nth Ascension sound, they band essentially plays symphonic and melodic progressive rock, in short pieces to more epic, lengthy, songs. They're something for everyone in their tunes. Soulful melodic vocals. Brisk to heavier riffs. Bright guitar solos. Shimmering synth atmosphere and orchestration, with keyboard solos as well. A tight expansive rhythm section. Arrangements that draw out melody and harmony, yet also offer the intrigue of mild complexity. As I listened several bands came to mind, such as Pallas, Magna Carta, Ten, and Threshold. If you like any of those bands, Nth Ascension should be on your must buy list. But to point to just a few song highlights. With the opening track, Kingdom Keys the defining elements are the piano, the vocals and vocal arrangement, especially as found in the inspired refrain. More delightful and bright piano starts and drives the melody of In Search Of The Rider, a highly symphonic song as well. So, That Was The Apocalypse gets kudos for both the clever song title and the arrangement. The song, an instrumental, is a fast-paced rocker driven by the rhythm section, notably the drums. It should be noted at 67 minutes, this is definitely a long player. You'll want to settle, but also give it a few spins to get the breadth and depth of the album. Bottom line: Nth Ascension's In Fine Initium is well-crafted, well-performed album of creative and entertaining melodic progressive rock, which should please connoisseurs of the same. Recommended. 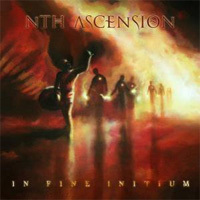 Nth Ascension's In Fine Initium is well-crafted, well-performed album of creative and entertaining melodic progressive rock, which should please connoisseurs of the same. Recommended.